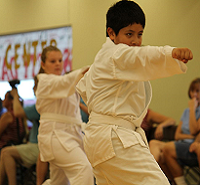 Besides karate, CWKC goes one step further to teach students life skills such as respect, discipline, focus, self-control, stranger awareness and bully defense, all while having a great time! CWKC Adult/Teen class focuses on teaching practical self-defense tactics while getting a full body workout. The high energy, stress relieving class is adaptable to any age. Our experienced instructors will help you reach your goals! 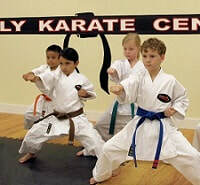 Students of all ages and skill levels enjoy training together. We have many parents that take class along side of their sons and daughters. Our after school program is not only fun for the children, but convenient for the parents. 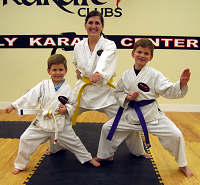 Each class is taught by a qualified instructor, who travels to your child's school or daycare facility. At Chris Welbon Karate Clubs we pride ourselves on quality instruction with high standards in student development at all age levels. We have been in business since 1997 and offer several different programs for children age 4 to adult. Classes are geared to work at your own pace to improve physical fitness, self-discipline, confidence, relieve stress, as well as teach self-defense skills. Our instructors are trained and are experienced to work with every student to achieve their goals, whatever they may be. 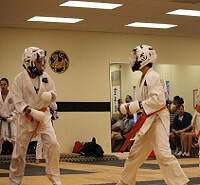 Here at CWKC, we go far beyond the physical aspect of the martial arts. We train our mind, bodies, and spirit to build skills that will last a lifetime!